Behind the façade of sombreros and tequila, tourist traps and holiday resorts, there lies a very different Mexico. 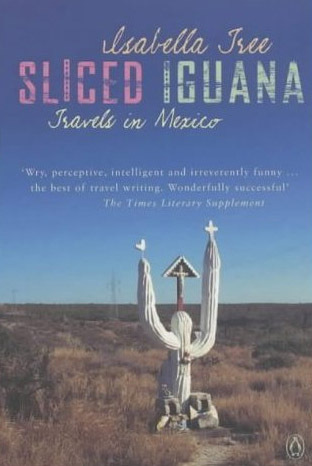 In Sliced Iguana Isabella Tree explores a country that is the heart and lifeblood of the Americas, a country of extremes and contradictions. In a land so markedly shaped by machismo, she finds a town controlled by arm-wrestling matriarchs and party-mad transvestites and in war-torn Chiapas she discovers shamans worshipping Mayan gods inside Catholic churches and conducting exorcisms with the aid of Pepsi. At a graveside vigil on the Night of the Dead she encounters the last delicate vestige of a pre-Columbian cult that elsewhere has morphed into an Americanised Halloween. With a group of Huichol Indians, perhaps the last truly autonomous tribe in the entire American continent, she participates in rituals using peyote, the hallucinogenic cactus, to bring rain to the drought-stricken sierra and appease the forces of Nature so recklessly abused by the conquistadors and their successors. Through her narrative Isabella Tree threads the brightly coloured history of Mexico and tells the stories of the people that have defined its fractured past and will shape its future - kings and conquistadors, politicians and rebels, shamans and priests, mestizos and indigenous Indians. This is a story of Mexico like no other, capturing the essence of its psyche and illuminating the struggles and hopes of a people and a country on the cusp of change.